I as recently looking through a Meryl Streep lookbook on The Cut and I couldn't help but fall in love with her even more than I already am, especially with her really awesome looks from the 80's. I mean we can talk about her lasting beauty, poise and of course all the amazing movies she has made (She-Devil anyone?) 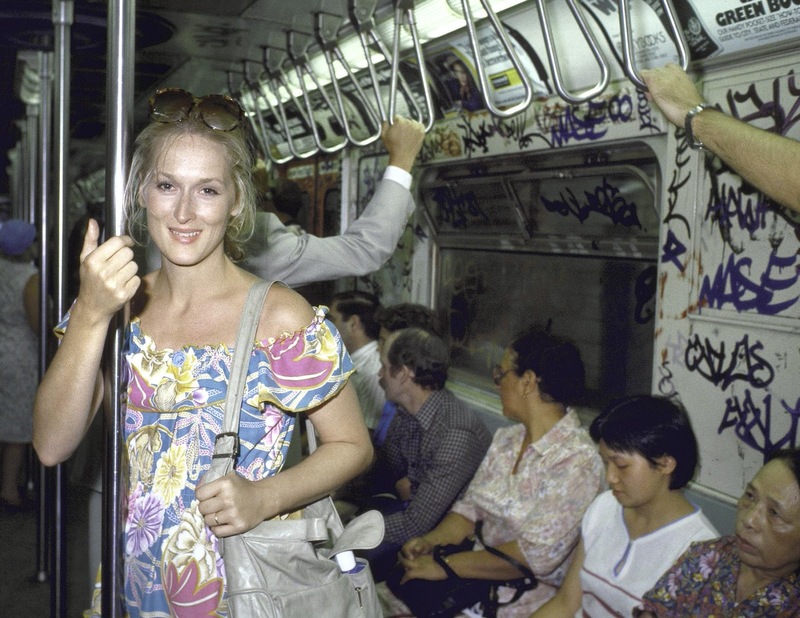 but in this post, I want to talk about how I wish I was Meryl Streep from 1980-1989. 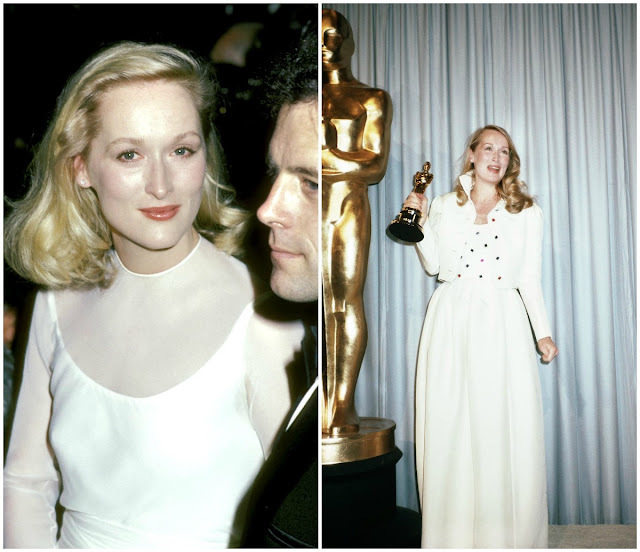 It's not just because some 80's clothes are coming back in fashion, it's that Meryl just has always had this sense of style that seems organic and natural to her and therein just seems classic. 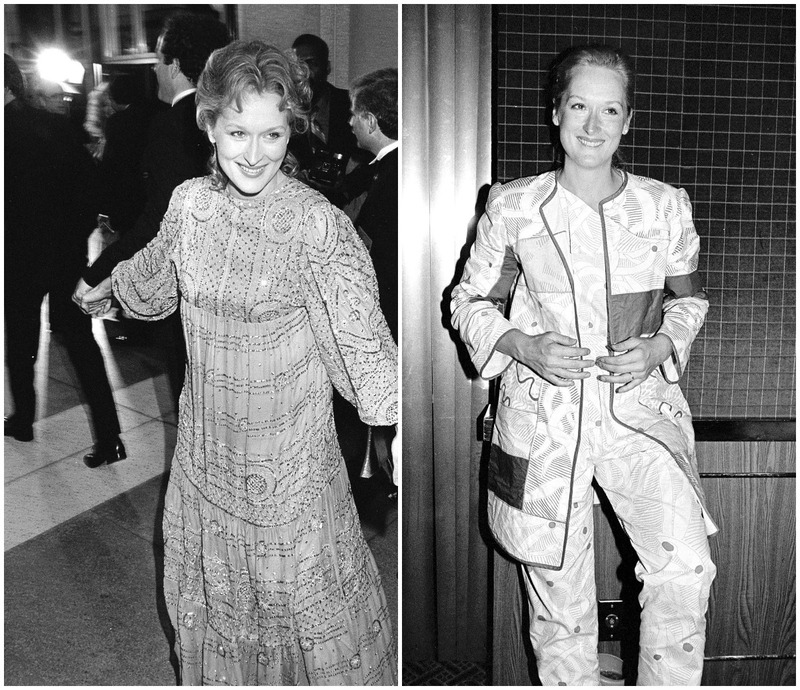 Please tell me that you don't adore her huge coats, the carefree looks and the polka dots at the Oscars, hello. Yes Miranda Preistley .. LOVE her! LOL. Those shoulder pads though, hahahaha! she is one of the most beautiful women around, i love her style then and i love her style now! Look at those shades in the top left pic! She is just fabulous at any age! That Oscar polka dotted number? WHA? Amazing. She's amazeballs. She really has aged gracefully!